Since 2008, this property has been a night club called the 5th Quarter. It replaced a another club called Oz which closed in 2007. The exterior has been significantly modified and is now black. The Vth Forum, or Fifth Forum, opened as an art and foreign film house in 1966, by Roger and Kenneth Robinson, who also owned the Ypsi-Ann and Scio Drive-Ins. Its architect was Lester Fader. Though its decor was typical late 60s style, the theater offered a pair of comfortable lounges and sold coffee in its lobby decades before the current trend in today's megaplexes became popular. The theater, which originally sat around 560, opened with Jean Luc Godard's The Married Woman. 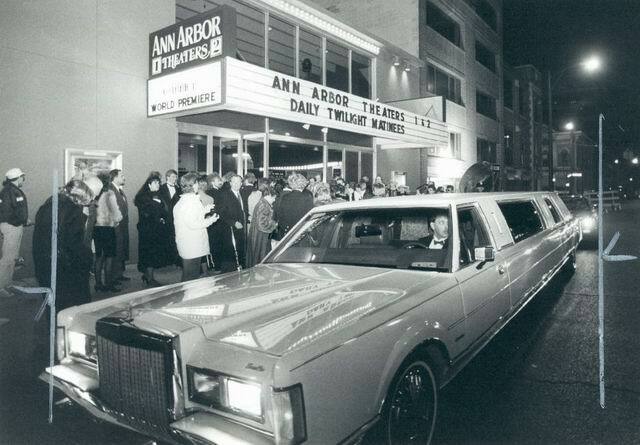 In early 1979, the Vth was sold to Goodrich Theatres and was renamed the Ann Arbor Theatre a few months later. A year later, Goodrich twinned the Ann Arbor, now called the Ann Arbor 2, with one auditorium seating 155, and the other seating 325. In the late 80s, there were plans to raze the theater, and erect a 15 story condominium on the site, but this never came to fruition. The Ann Arbor continued to operate as a venue for first-run commercial, art and foreign features for many years, but today is closed. Cinema Treasures Link.